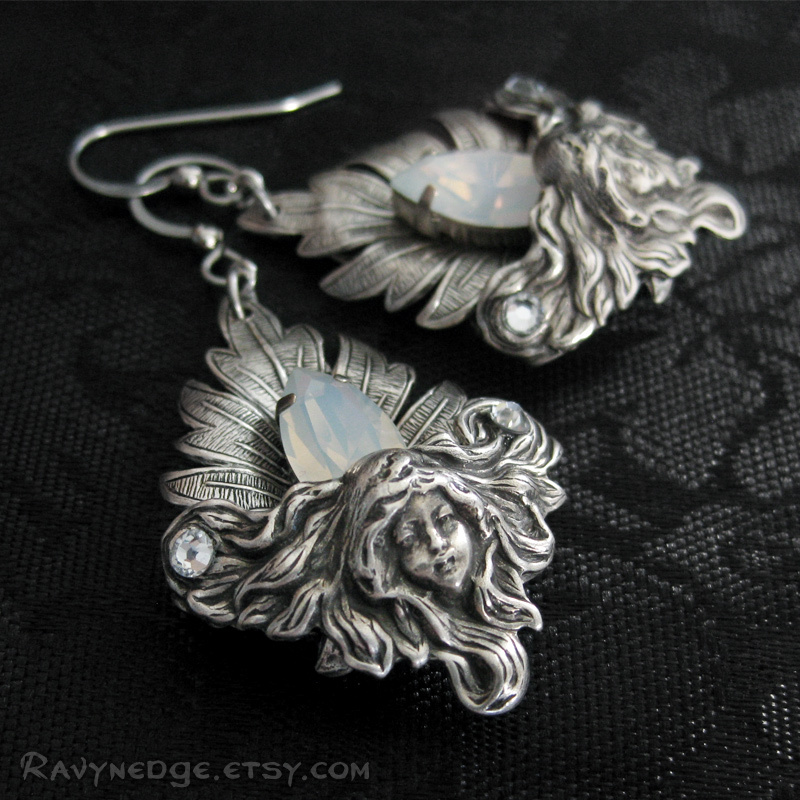 Child Of Winter Earrings - White Opal Swarovski and Silver Filigree Dangle Earrings by RavynEdge. This was a custom order for a customer who wanted a white stone in the "Child of Nature" design. She called this version, "Child of Winter" because it reminded her of a chilly winter's day. 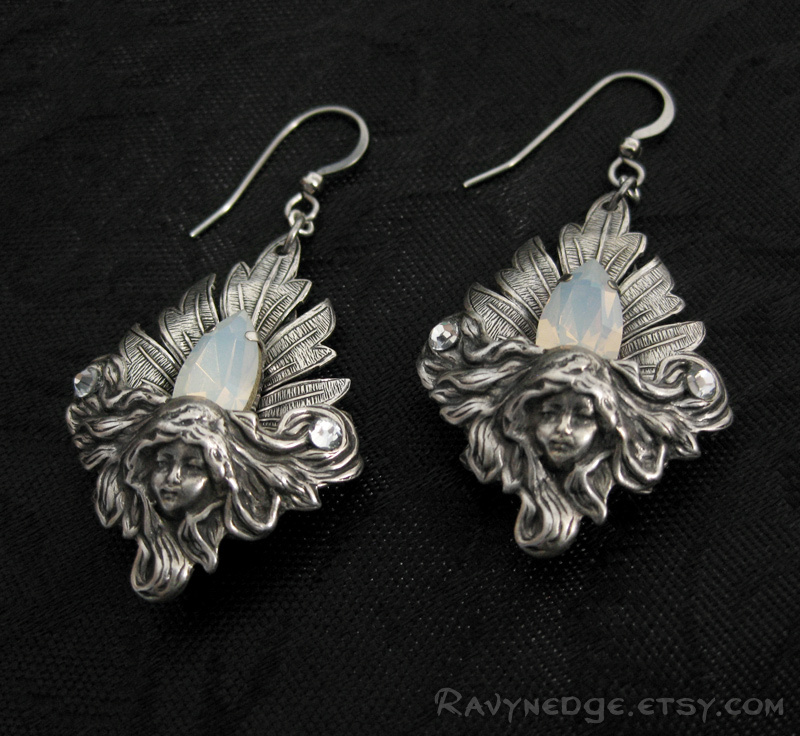 A white opal Swarovski navette is nestled between a silver leaf and the visage of a beautiful woman. Within the curls of her windblown locks are sparkles of crystal Swarovski. These earrings have great movement. The back is decorated in case it happens to be seen. 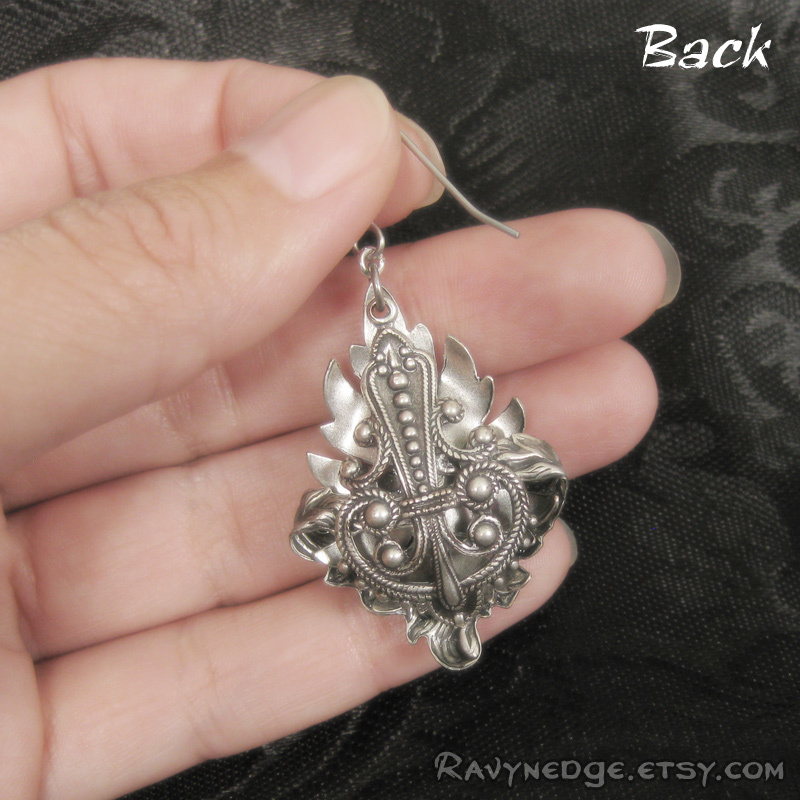 The earrings are made of sterling silver plated brass oxidized to bring out the incredible details. The ear wire is surgical steel for sensitive ears. 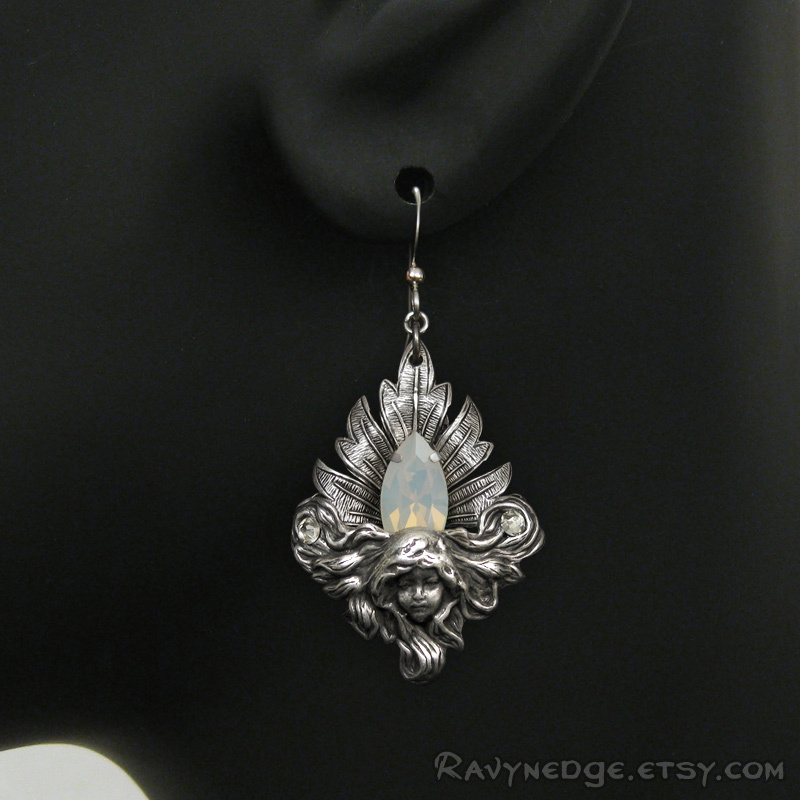 Measures approximately 2.13 inches (54mm) from the top of the ear wire. Includes a pair of 4mm clear hypo-allergenic poly-clutches which slip onto the end of ear wires to prevent loss.